Heartland Financial USA, Inc. announces the promotion of William (Bill) Callahan to President of Arizona Bank & Trust in Phoenix, Ariz.
Heartland Financial USA, Inc. announces the promotion of William (Bill) Callahan to President of Arizona Bank & Trust in Phoenix, Ariz., effective May 1, 2016. Jerry Schwallier will remain as Chief Executive Officer. Both Dubuque Bank and Trust and Arizona Bank & Trust are subsidiaries of Heartland Financial USA, Inc., the Dubuque, Iowa-based community bank holding company. Callahan currently serves as Market President of Dubuque Bank and Trust, having joined the bank in 1998. He began his banking career in Phoenix in 1983, and previously served as Vice President of Commercial Lending at First National Bank of Dubuque. "Bill has done great things here at Dubuque Bank and Trust and we will miss him at the bank and in the Dubuque community," said Doug Horstmann, President and CEO of Dubuque Bank and Trust. "During his 18 years with DB&T, Bill has served our customers and community very well in many ways." During his tenure, he built strong community connections and served on many committees and boards, including the Dubuque Racing Association, Finley Health Foundation, Holy Family Catholic Schools, and is the current President of Dubuque Initiatives. "I am honored to have the opportunity to grow with Heartland and serve as President of Arizona Bank & Trust," said Callahan. "I will certainly miss the many friends, mentors and business partners I have come to know and appreciate throughout my years here in Dubuque." 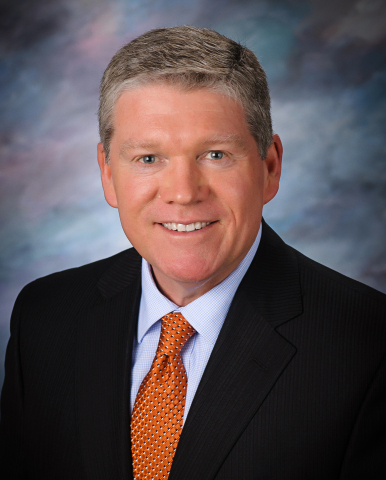 "We are pleased to welcome Bill to our team at AB&T," said Jerry Schwallier, CEO of Arizona Bank & Trust. "As a community leader and trusted banker, Bill will be a great addition to our bank and the Phoenix market we serve." About Dubuque Bank and TrustDubuque Bank and Trust serves customers throughout Dubuque County, Iowa, with banking centers in Epworth, Farley and Holy Cross. The $1.3 billion bank is a subsidiary of Heartland Financial USA, Inc., and offers commercial, personal, agriculture and private client services. For more information, visit www.dubuquebank.com. Dubuque Bank and Trust is a Member of the FDIC and an Equal Housing Lender. About Arizona Bank & TrustArizona Bank & Trust, a subsidiary of Heartland Financial USA, Inc., (NASDAQ: HTLF) is a community bank with assets more than $580 million and eight banking centers located in Phoenix, Scottsdale, Tempe, Mesa, Chandler, Gilbert and Gold Canyon. The bank offers a wide array of deposit, loan and wealth products that fulfill the needs of businesses and consumers who desire top quality financial products and great customer service. Visit www.arizbank.com to learn more. Arizona Bank & Trust is a member of FDIC and an Equal Housing Lender.